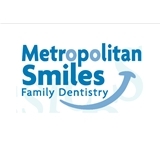 Metropolitan Smiles (Kew Gardens) - Book Appointment Online! At Metropolitan Smiles, our dentist, Artin Sakhaee, DDS prides himself in providing affordable dental care in Kew Gardens, New York. Dr. Sakhaee offers general and cosmetic dentistry, sedation dentistry, Laser dentistry, dentures, crowns and invisalign. Dr. Artin Sakhaee provides Laser Dentistry with Biolase Waterlase. NO shot, NO drill, NO pain. With Sedation Dentistry we can take care of all your dental needs in an relaxing setting. Our dental office accepts most insurances including PPO, Care Credit and we also offer financing for those who are eligible. If an appointment is not available please call the office and we will do our best to accommodate you.